If you’re one of the many people who often wonders why folk festivals don’t book more hip hop acts, Little York Folk Festival is for you. More Or Les will be hosting a writing workshop alongside folk/country singer Sarah Jane Scouten (Light Organ Records) on Saturday, May 20 and then performs later that night on a packed bill of folk and country acts. Little York Folk Festival is in its second year!! 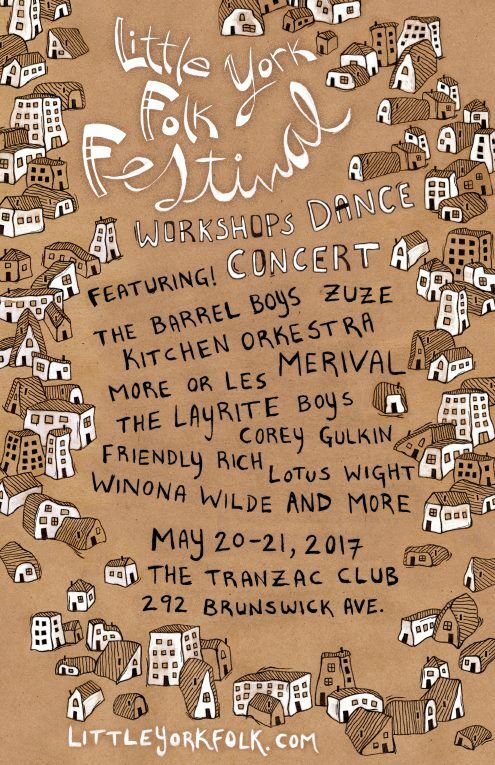 Toronto’s micro folk festival is happening May 20-21 at The Tranzac Club, bringing together all the folk and roots music scenes within our city. Hand-picked musicians will be collaborating for the FIRST TIME to bring new works, while you drink caesars with old friends and make new ones. Tickets are available through Eventbrite or Littleyorkfolk.com.